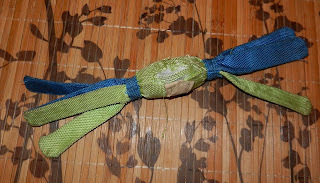 I was sad...really sad...One of my most favorite toys was overly played with and its insides were coming out. Flappy was broken...Too broken to play with, to toss in the air, too broken for my Daddy to play tug 'o war with me. Flappy was one of my first toys, it even had a little bit of my puppy teeth blood on it. And now, Flappy was all gone. I've had a rough month...My orbs were repaired, my favorite doggie park wasn't opened a lot. I went along with my pug life, knowing that Flappy couldn't be played with. I still had my Kubba Wubba, and pull toys, but they weren't my Flappy...Even Spencer B, who played with my Flappy when he visited, was sad when I told him. Well, today Mommy picked me up from doggie daycare. It was a fun day of playin' with my friends and being a pug. So, we were drivin along, going to the House O' Belly, then Mommy made a familiar turn. We were going to the doggie food store! Yea! I like the doggie food store. I have a doggie friend there, and there are treats at pug level! We were wandering around, I tried my best to sneak some treats and chewies. Then I saw IT...Mommy had IT, and it was glorious! I couldn't believe what IT was. She dropped IT and I grabbed IT and ran, and threw IT in the air! I was soooo happy! I wanted to run home with IT and grab my Daddy's leg so we could play! Next thing I know, we were drivin' home, and IT was with us! 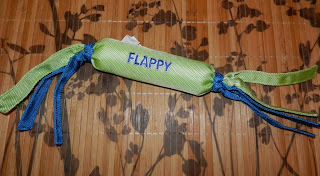 A new Flappy!!! We played and played. I couldn't believe it, and this new Flappy is bigger, and totally Belly approved!! Thanks Mommy! Hey Bellatrix! I'm Payton, it's nice to meet you. I've seen some cool pictures of you and Puglet (with the white stuff!) and I just had to come over and say hi. 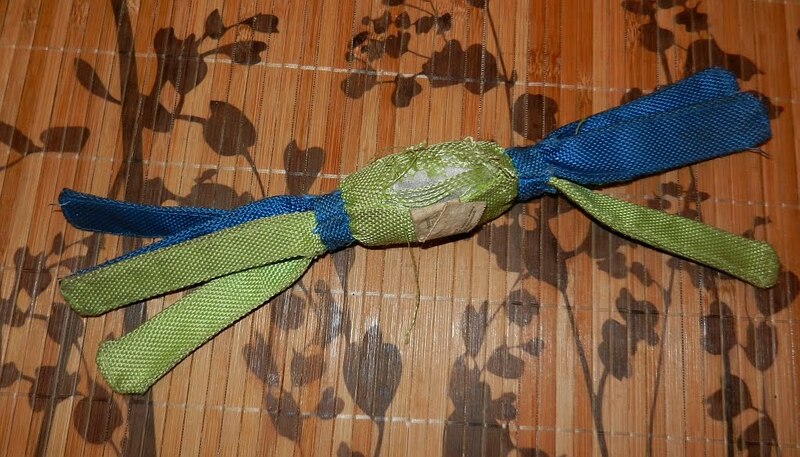 I can totally relate to your post - I get so sad when a toy has been destroyed. My mom makes we watch as she throws old toys in the trash (otherwise I look for them for days afterwards). Enjoy your upgraded Floppy! PS. My mom helped me finish my very own blog last night. We'd be honored if you'd stop by and check it out. Pugnacious P...tales of Payton the Pug - pugnaciousp 'dot' blogspot 'dot' com. Its so sad when the toys go to toy heaven. So glad you got another one! How sweet that your mama got you another Flappy! She da best! i can tell this is going to be a wonderful weekend for you! Oh my Bellatrix! I was so worried when you said your Flappy went to toy heaven (and I have seen Toy Story 1,2 and 3 so I KNOW what that means). Whew, thanks Bellatrix's Mommy for getting a new one.